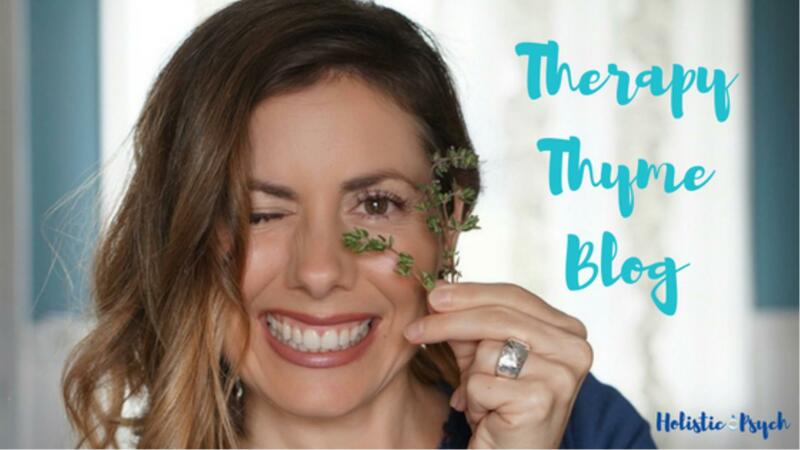 How Self-Love and Mindfulness Can Help You Achieve Your Dreams! 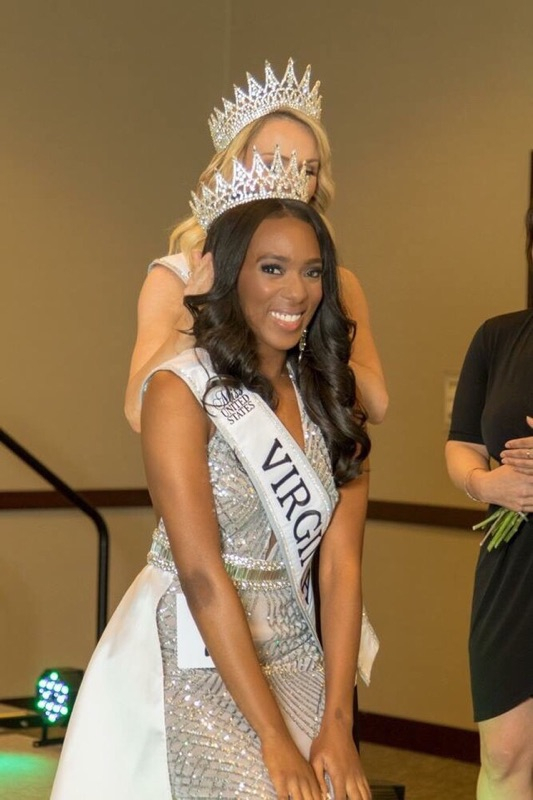 I had the absolute pleasure of speaking with the current Miss Virginia, Andromeda Peters, about her career in mental health, her success in pageantry, and the ways in which she practices self-love each and every day. Andromeda Peters is not just a beauty queen, but a beautiful soul who has much to share with the world on issues related to mental health and the growing practices of mindfulness and visualization. Andromeda lives in Springfield, VA which is right outside of Washington, D.C. where she does the majority of her work. She provides individual therapy and group therapy and is the assistant director of her hospital’s trauma IOP (Intensive Outpatient Treatment) in the partial hospitalization program. This is her first full year as a licensed and independent clinician. She has found that pageantry provides her with a platform and voice to bring people to treatment by informing them of available options and a variety of different therapists, which is currently a growing need in the United States. Andromeda studied martial arts and first learned about meditation at the age of 12. By the age of 15, she was leading meditation groups and led one at the National Martial Arts summit. Her experience as a mental health professional goes back to her years in college when an upperclassman attempted to assault her. While she was able to get out of the situation, she found herself emotionally disconnected and suffering from symptoms of PTSD. Andromeda sought help from a school therapist and was guided on how to come back to herself and check in with herself. She later found that other women had similar experiences and had not received therapy because they were ashamed or did not know where to go and so she felt empowered to teach women where to go and how to go about the healing process. She studied Therapy, yet during her studies she lost her housing as her family experienced financial hardship. Determined to complete her degree, she slept on friends’ couches and in her car. After choosing to pursue a graduate degree, she arranged to live with a friend who has now become family. Andromeda believes in looking at what is in her hands, and not what is outside of her control. She chose to be better rather than bitter and has found success in a career helping others. While she found her passion in therapy, Andromeda believed that there was a larger platform for her to speak on mental health from. She saw the need in this country and wanted to deeply impact the growing mental health issues. Her now fiance’s mother suggested pageantry. 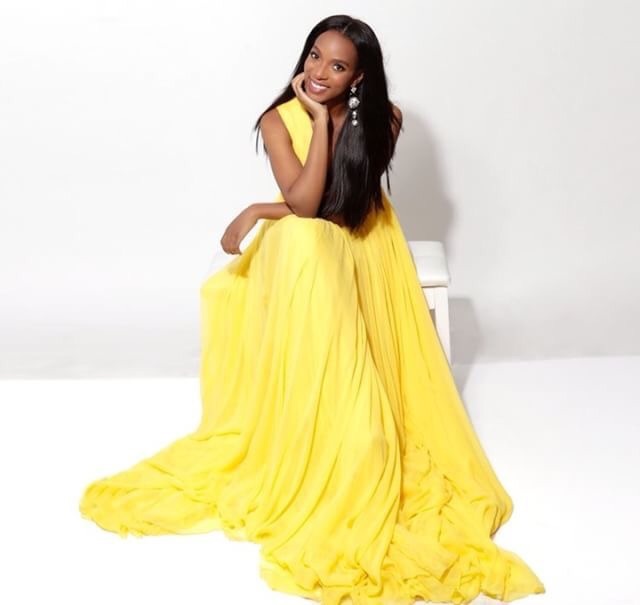 During her first pageant, she was able to reconnect to fitness as well as her passion for philanthropy and public speaking. Though she had moments of self-doubt and initially compared herself to the women who had competed in pageants for their entire lives, she chose to be mindful of her thoughts and countered any negative thoughts with counting backwards, breathing techniques, and remembering her why. 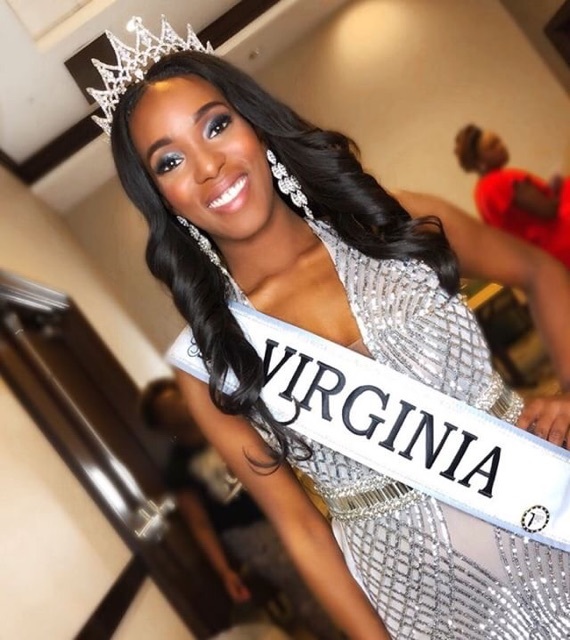 She knew that winning Miss Virginia would open many doors and allow her the opportunity to reach a larger audience, and so she remained connected to her purpose. Andromeda has created and now implements a program around self love and mindfulness. She was approached by a motivational speaker about starting a panel with other therapists. She wants to be in a position where she can share resources with Americans centered around visualization, meditation, and affirmations. Becoming Miss United States would allow her such an opportunity. She hopes to share with our country and the world that we really do have control over what we want to experience. She has found that the general public knows little about mental health and so she wants to empower Americans with the realization that there is a light at the end of the tunnel, and that there is strength in hearing another person’s story. She would love to see mental health incorporated in the school curriculum and that there would no longer be a stigma associated with seeking help for mental illness. Andromeda believes in healing from where you’ve been through, not just where you are going. Trauma is the wound that’s left behind. For her, self love is about being judge-free of others as well. Being mindful and being grounded, giving self balance and self-care. She practices self-love by making an appointment with herself to do things that bring joy. Each morning she wakes up and goes over a list of things to be thankful for. She then engages in a morning workout, has a healthy breakfast, and practices positive affirmations. She uses post it notes as love notes to herself and finds comfort in seeing positive words in her own handwriting. She also allows herself rest as she believes that rest is just as important as being active. She encourages others to find a routine that revolves around self-love and mindfulness, as this is a big component in combating mental illness.